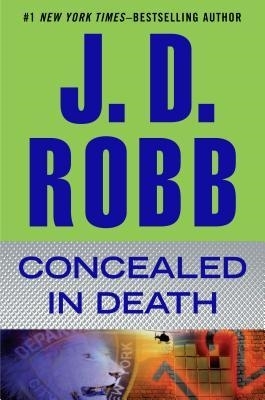 VJ Books Presents Author Nora Roberts (aka J.D. Robb)! Nora Roberts was born October 10, 1950 in Silver Spring, Maryland. She is a bestselling author who also writes the "In Death" series novels under the pseudonym, J.D. Robb. 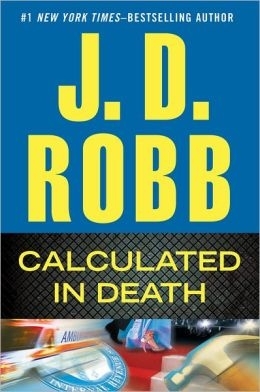 You can find Nora Roberts signed books below this author biography. Born into a family of readers, Nora had never known a time that she wasn't reading or making up stories. During a blizzard, she pulled out a pencil and notebook and began to write down a story. It was there that a career was born. Several manuscripts and rejections later, her first book, Irish Thoroughbred, was published in 1981. Roberts met her second husband, Bruce Wilder, when she hired him to build bookshelves. They were married in July 1985. Since that time, they've expanded their home, traveled the world and opened a bookstore together. Through the years, she has always been surrounded by men. Not only was she the youngest in her family, but she was also the only girl. She has raised two sons. 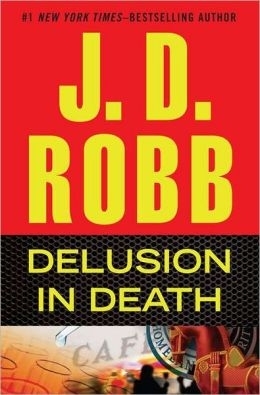 Having spent her life surrounded by men, Roberts has a fairly good view of the workings of the male mind, which is a constant delight to her readers. It was, she's been quoted as saying, a choice between figuring men out or running away screaming. Roberts is a member of several writers groups and has won countless awards from her colleagues and the publishing industry. Recently The New Yorker called her "America's favorite novelist." Author Signed Hardcover Book. 2016 NY: Putnam First edition, first printing, mint, new/unread in a flawless dust jacket, signed by the author. Each dust jacket is protected in an acid-free archival quality acetate cover. First Edition Hardcover Book 2013 NY: Putnam First edition, first printing, mint, new/unread in a flawless dust jacket. Each dust jacket is protected in an acid-free archival quality acetate cover. First Edition Hardcover Book 2014 NY: Putnam First edition, first printing, mint, new/unread in a flawless dust jacket. Each dust jacket is protected in an acid-free archival quality acetate cover. First Edition Hardcover Book 2007 NY: Putnam First edition, first printing, mint, new/unread in a flawless dust jacket. Each dust jacket is protected in an acid-free archival quality acetate cover. Author Signed Hardcover Book. 2007 NY: Putnam First edition, first printing, mint, new/unread in a flawless dust jacket, signed by the author. Each dust jacket is protected in an acid-free archival quality acetate cover. Author Signed Hardcover Book. December 2015 NY: Putnam First edition, first printing, mint, new/unread in a flawless dust jacket, signed by the author. Each dust jacket is protected in an acid-free archival quality acetate cover. 2004 NY: Putnam First edition, first printing, mint, new/unread in a flawless dust jacket, review copy with promotional materials laid-in. Author Signed Hardcover Book. 2004 NY: Penguin First edition, first printing, near-fine in near-fine dust jacket, signed by the author. Each dust jacket is protected in an acid-free archival quality acetate cover. First Edition Hardcover Book 2010 NY: Putnam First edition, first printing, mint, new/unread in a flawless dust jacket. Each dust jacket is protected in an acid-free archival quality acetate cover. 2007 NY: Penguin First edition, first printing, mint, new/unread in a flawless dust jacket, signed by the author. Author Signed Hardcover Book. 2006 NY: Putnam First edition, first printing, mint, new/unread in a flawless dust jacket, signed by the author. Each dust jacket is protected in an acid-free archival quality acetate cover. First Edition Hardcover Book 2011 NY: Putnam First edition, first printing, mint, new/unread in a flawless dust jacket. Each dust jacket is protected in an acid-free archival quality acetate cover. Author Signed Hardcover Book. February 2015 NY: Penguin First edition, first printing, mint, new/unread in a flawless dust jacket, signed by the author. Each dust jacket is protected in an acid-free archival quality acetate cover. Author Signed Hardcover Book. 2005 NY: Penguin First edition, first printing, mint, new/unread in a flawless dust jacket, signed by the author. Each dust jacket is protected in an acid-free archival quality acetate cover. Advance Reading Copy. 2009 NY: G.P. Putnam's Sons Advance reading copy, mint, new/unread in pictorial wraps. First Edition Hardcover Book 2009 NY: Putnam First edition, first printing, mint, new/unread in a flawless dust jacket. Each dust jacket is protected in an acid-free archival quality acetate cover. Author Signed Hardcover Book. February 2009 NY: Penguin First edition, first printing, mint, new/unread in a flawless dust jacket, signed by the author. Each dust jacket is protected in an acid-free archival quality acetate cover. Author Signed Hardcover Book. November 2008 NY: Penguin First edition, first printing, mint, new/unread in a flawless dust jacket, signed by the author. Each dust jacket is protected in an acid-free archival quality acetate cover. Author Signed Hardcover Book. 2017 NY: Putnam First edition, first printing, mint, new/unread in a flawless dust jacket, signed by the author. Each dust jacket is protected in an acid-free archival quality acetate cover. First Edition Hardcover Book. February 2008 NY: Penguin First edition, first printing, mint, new/unread in a flawless dust jacket. Each dust jacket is protected in an acid-free archival quality acetate cover. Author Signed Hardcover Book. February 2008 NY: Penguin First edition, first printing, mint, new/unread in a flawless dust jacket, signed by the author. Each dust jacket is protected in an acid-free archival quality acetate cover. Author Signed Hardcover Book. 2005 NY: Penguin First edition,later printing, mint, new/unread in a flawless dust jacket, signed by the author. Each dust jacket is protected in an acid-free archival quality acetate cover. Author Signed Hardcover Book 2010 NY: Putnam First edition, later printing, mint, new/unread in flawless dust jacket, signed by author. Each dust jacket is protected in an acid-free archival quality acetate cover. Author Signed Hardcover Book. 2010 NY: Putnam First edition, first printing, mint, new/unread in a flawless dust jacket, signed by the author. Each dust jacket is protected in an acid-free archival quality acetate cover. Author Signed Hardcover Book. 2004 NY: Penguin First edition, first printing, mint, new/unread in a flawless dust jacket, signed by the author. Each dust jacket is protected in an acid-free archival quality acetate cover. 2006 NY: Penguin First edition, first printing, mint, new/unread in a flawless dust jacket.